I absolutely LOVE this display that Senior School Librarian Terence Chan has created in North London Collegiate School! 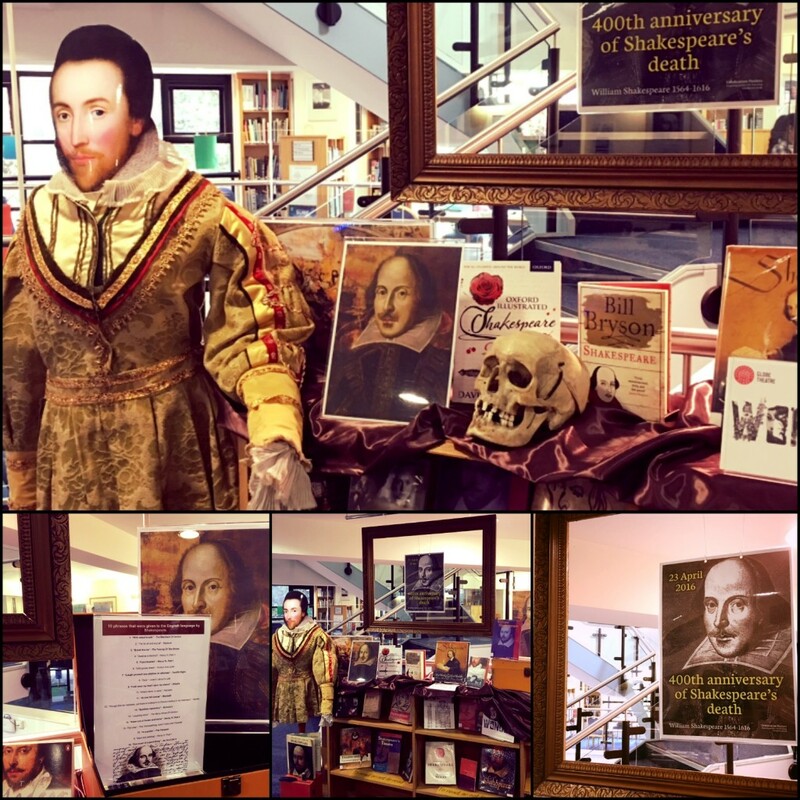 He told me that Year 7 pupils got a shock when they entered the Library only to be confronted with a life sized Shakespeare staring back at them! “It is amazing what you can do with a mannequin and a plastic skull from the Science Department” he told me. Terence is known for his creative displays using mannequins; you may remember his beautiful dress made out of book pages for his ‘Strike a pose’ writing competition a year ago.